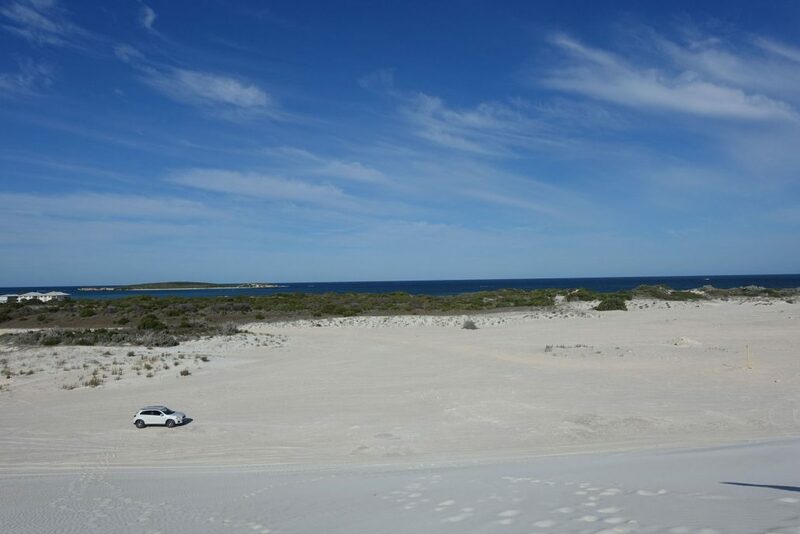 This route is along the Indian Ocean and the drive is on a smooth road. 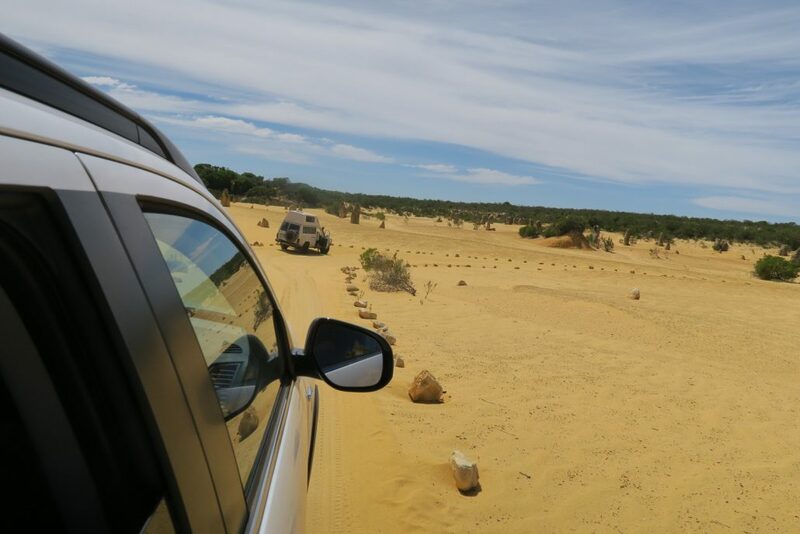 ✅The road condition is pretty good throughout until before entering the sand dune. 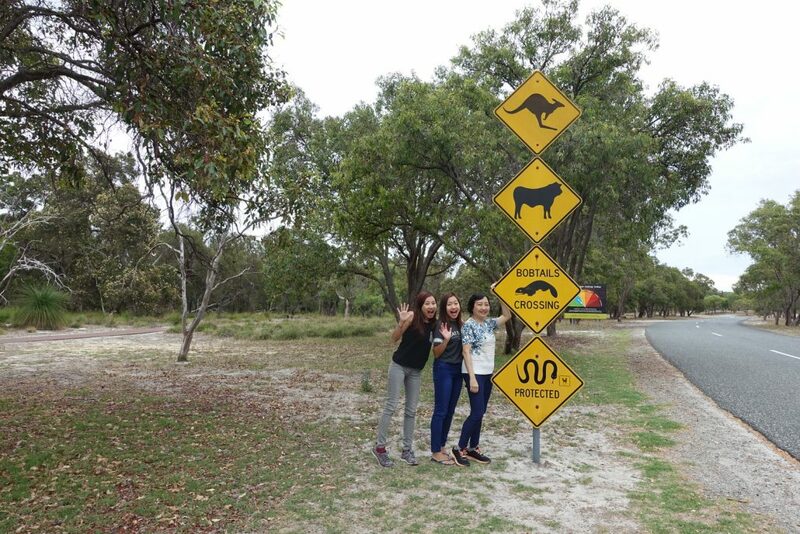 ⚠️One point to note while driving in Perth will be animals. 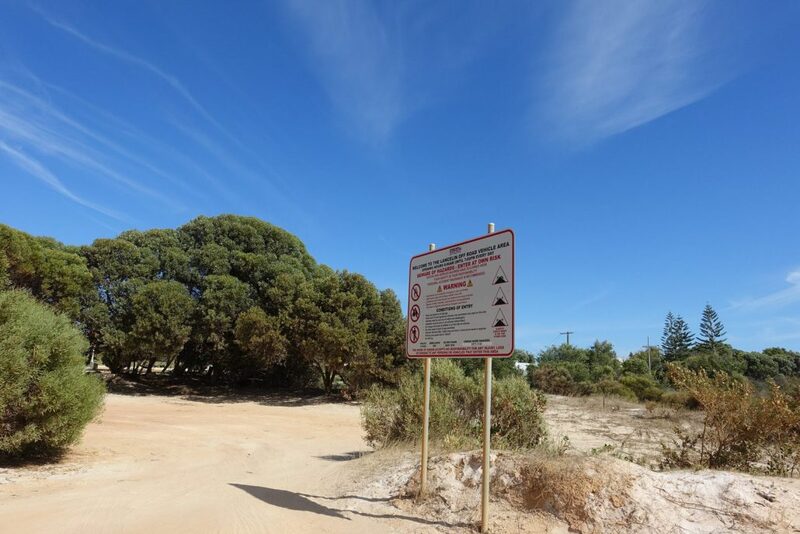 ‼️There are many signs warning signs featuring animals crossing the road. 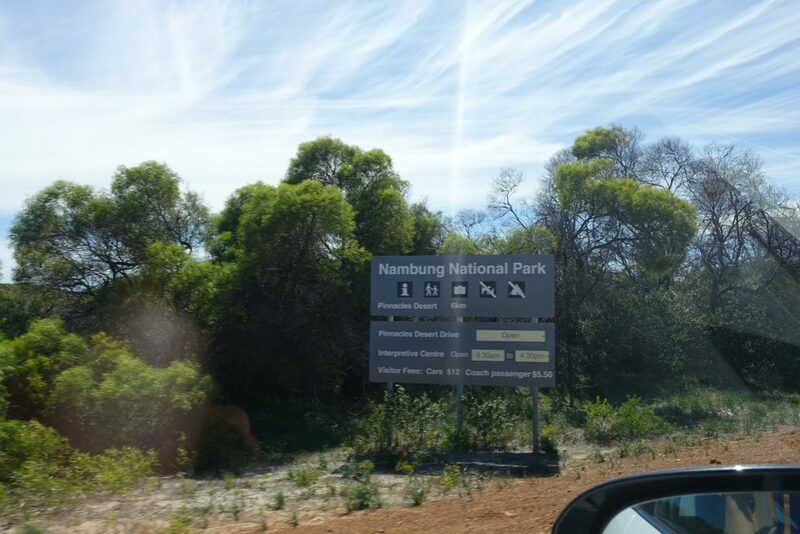 Drive safe and drive slow when you see these signs as animals tend to be attracted to the roadside and you never know when they dash across. 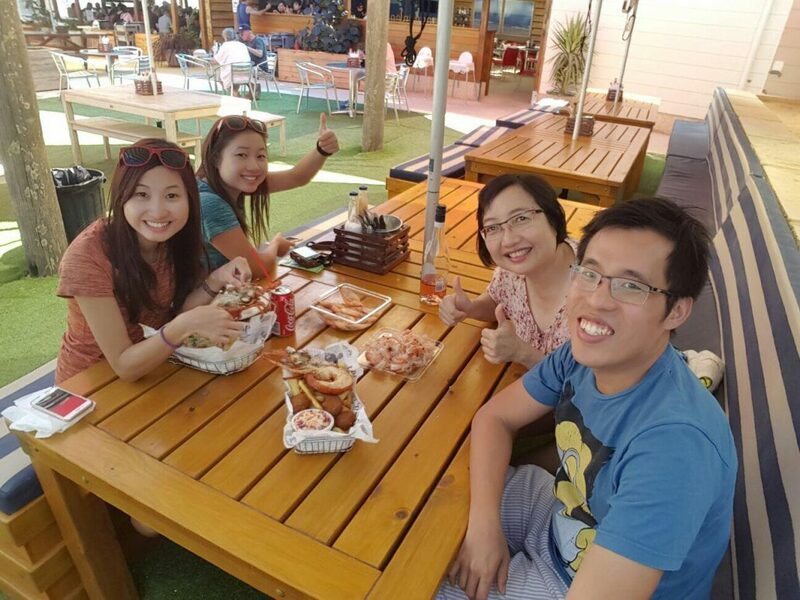 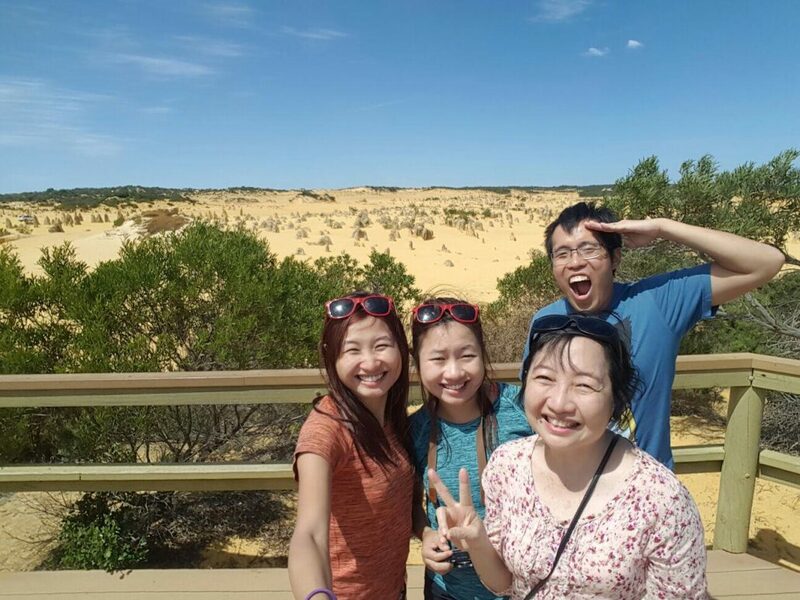 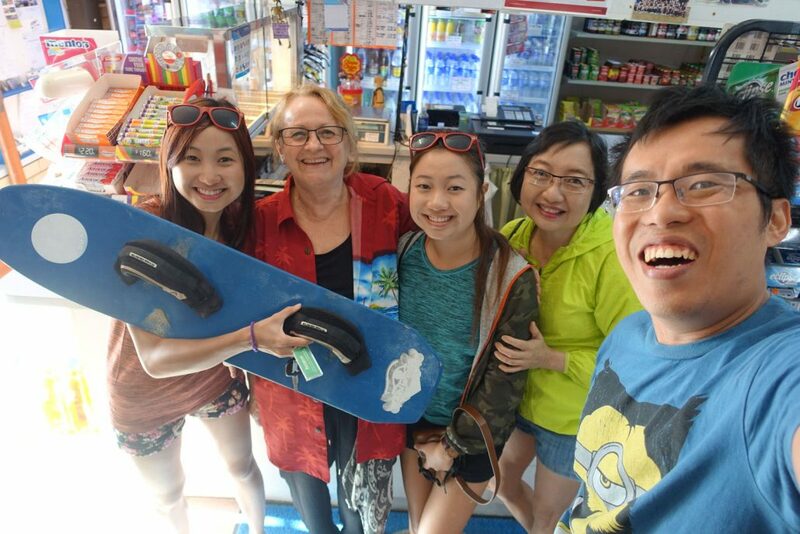 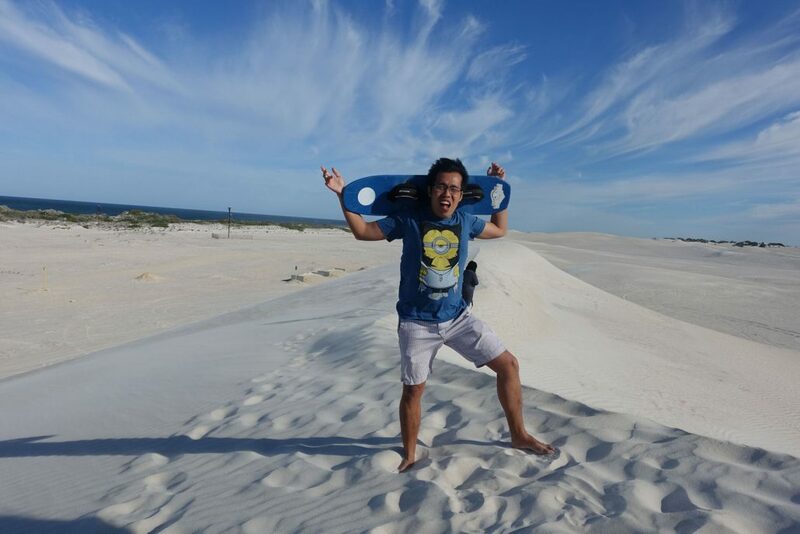 Check out our happy faces for managing to rent the sandboard and now we can head to Lancelin sand dune! 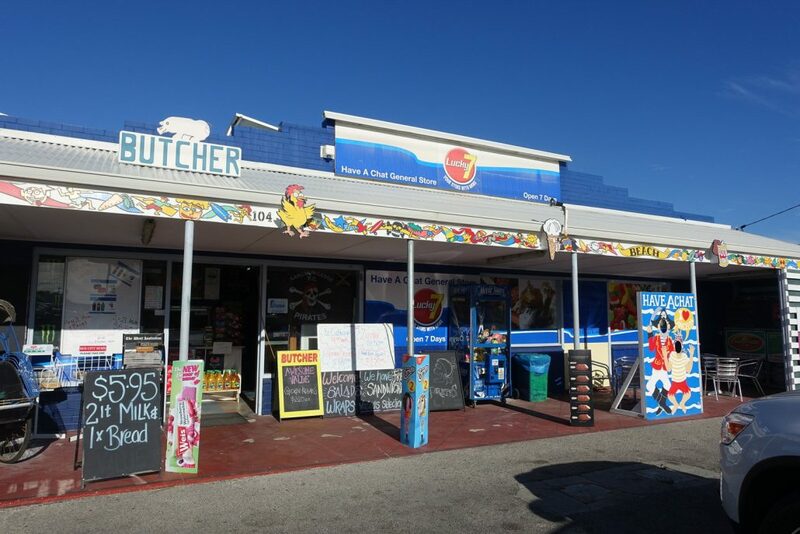 ✅Have a Chat General Store opens 7 days a week from 5am to 5pm. 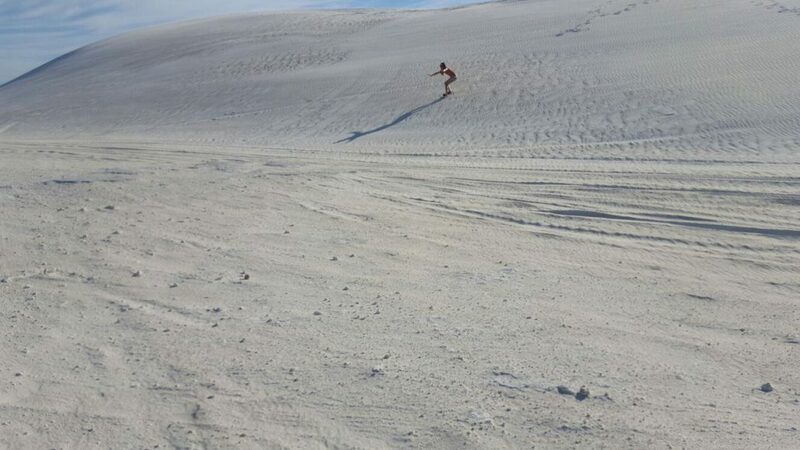 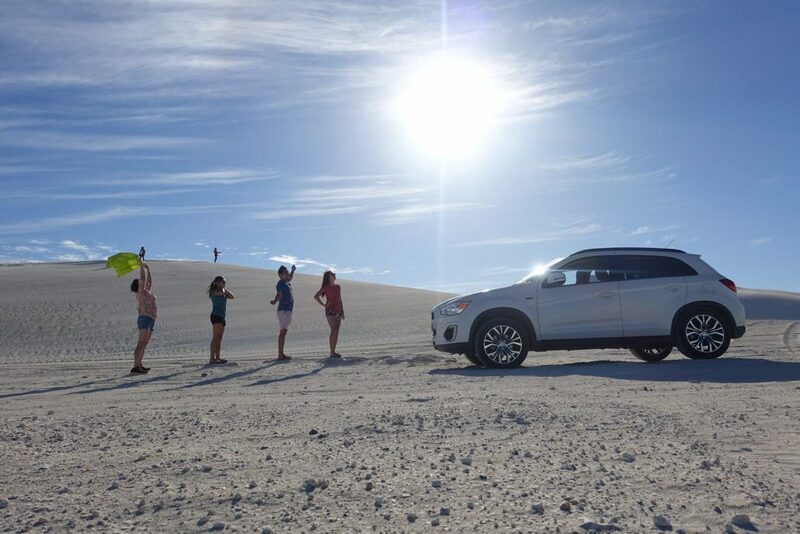 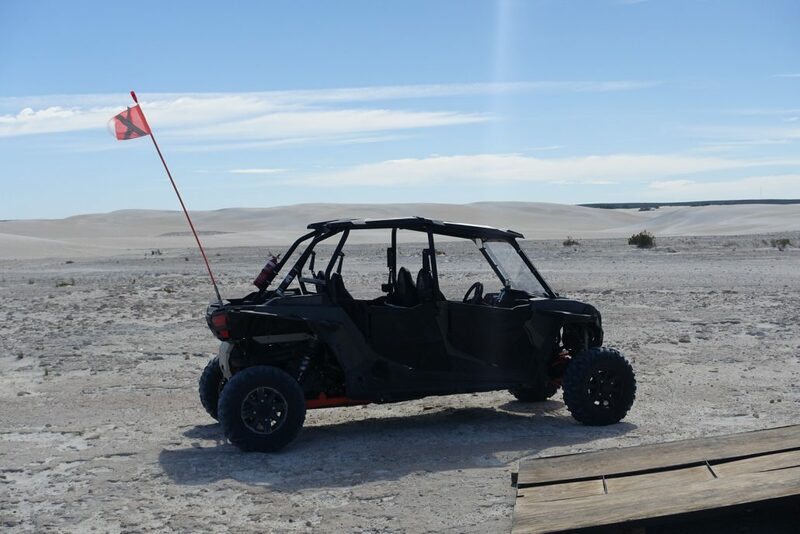 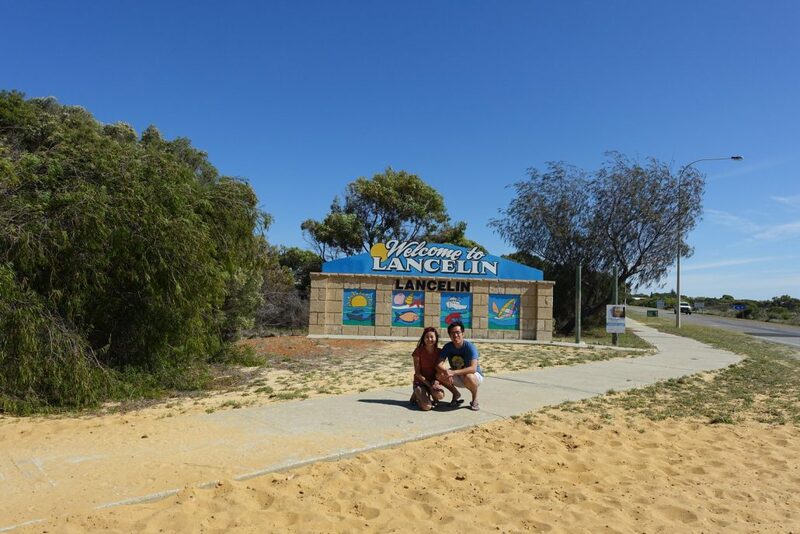 What to Do in Lancelin Sand Dunes? 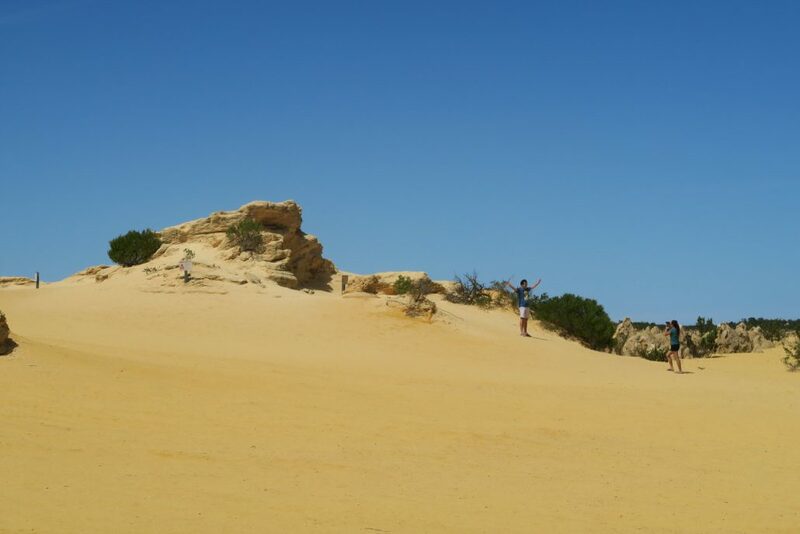 ✅Tips: Start from the lower sand dune before moving to the higher and steeper ones. 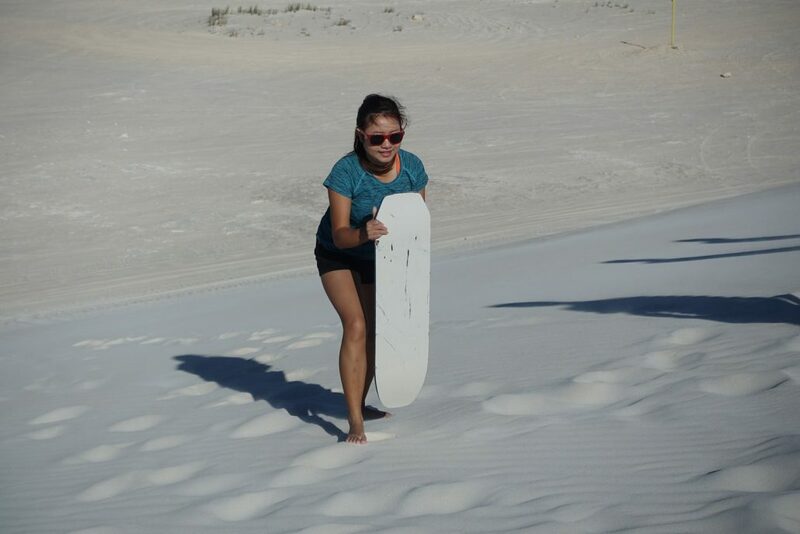 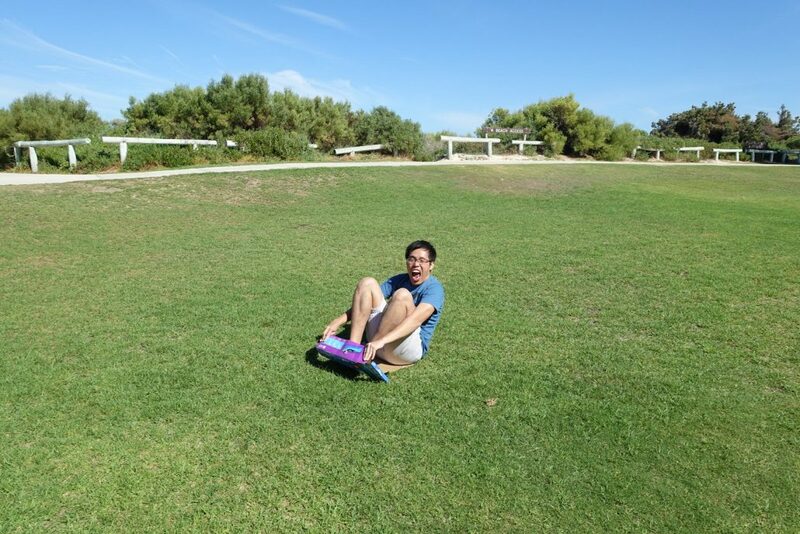 Try to balance on the sandboard and keep the centre of gravity low. 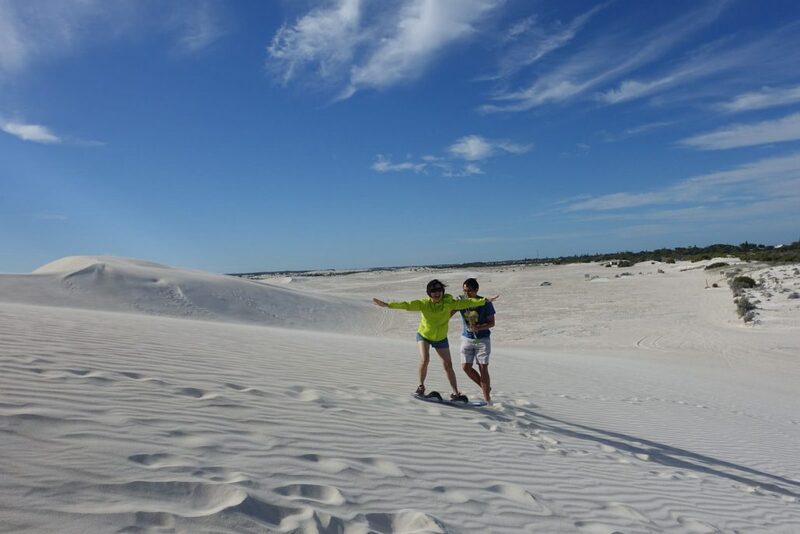 ✅Tips: Beat the crowd and be there early to enjoy the nice stretches of sandy beaches and of course the famous Lancelin’s sand dunes. 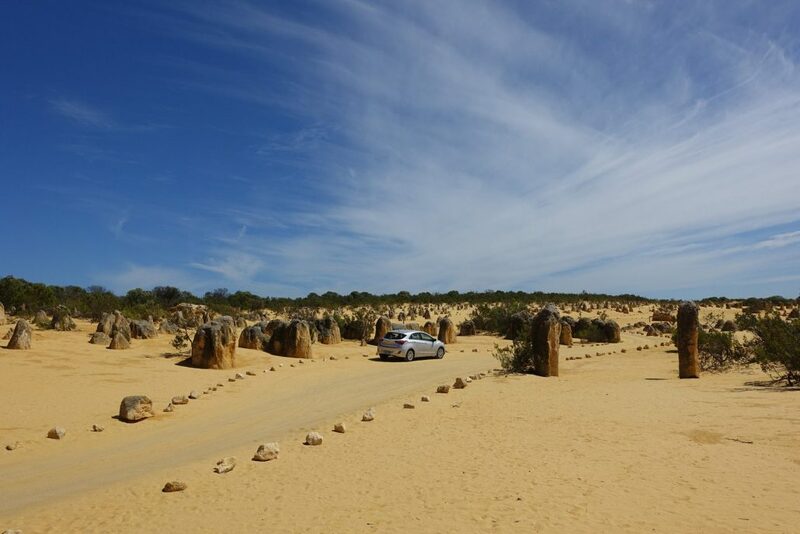 💰Entry to The Pinnacles is $12 per vehicle. 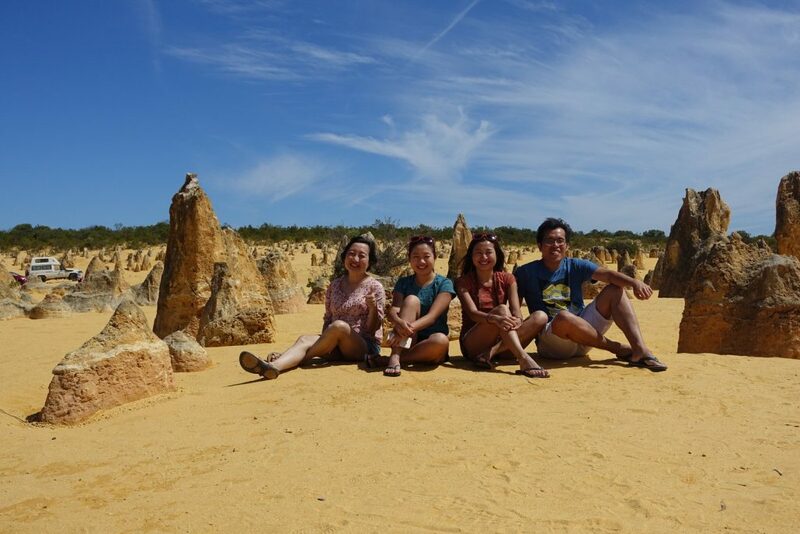 To view the Pinnacles, it is a one-way drive over a sandy but firm road. 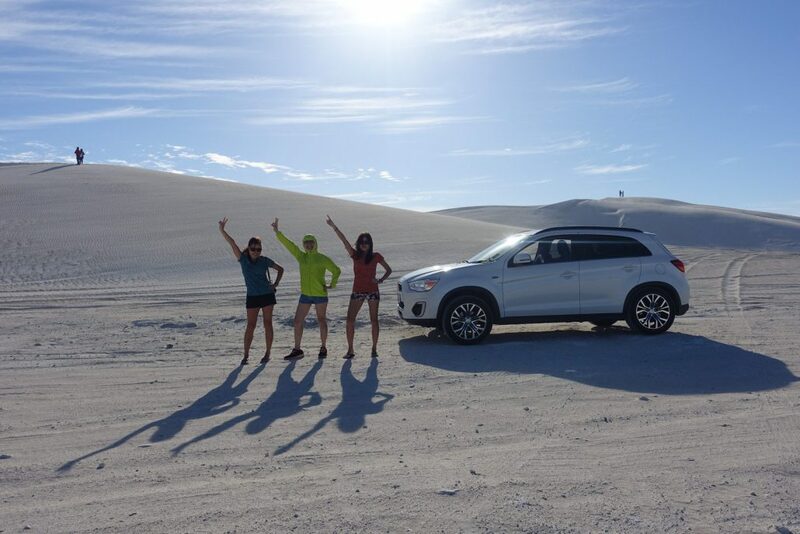 There’s pull over areas so we can get out and take the obligatory photos. 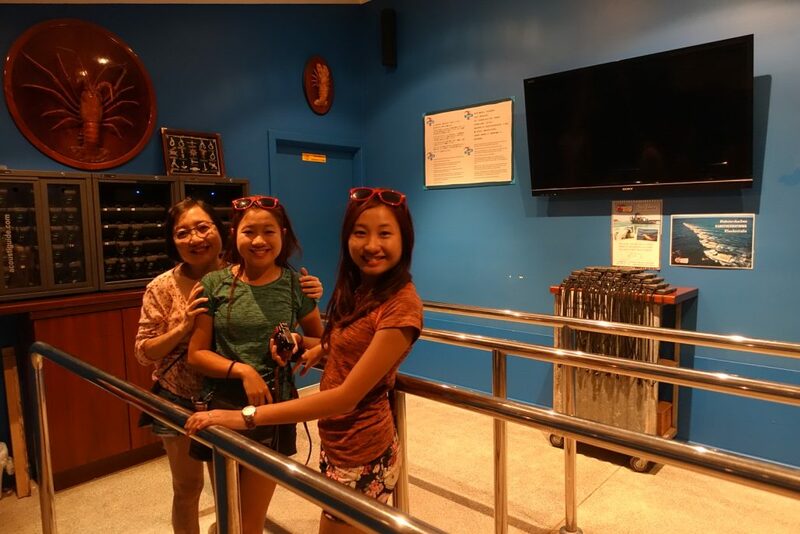 After exploring the pinnacle desert, we went to the indoor information center for a detailed explanation of the formation of the pinnacle. 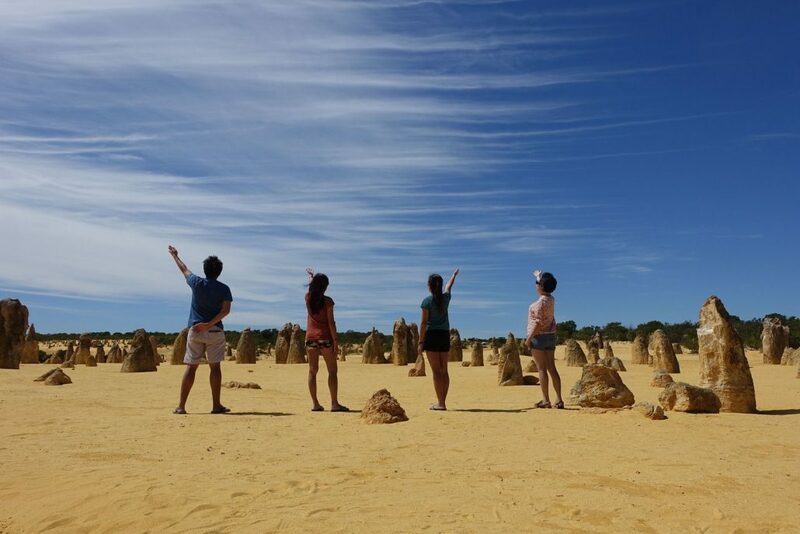 ⚠️Fun Fact: The action of wind continues to reveal, conceal and reshape the pinnacles. 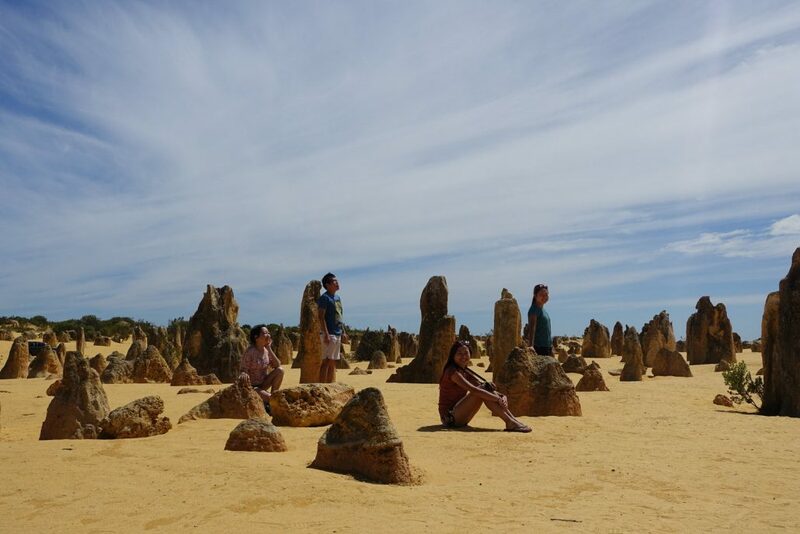 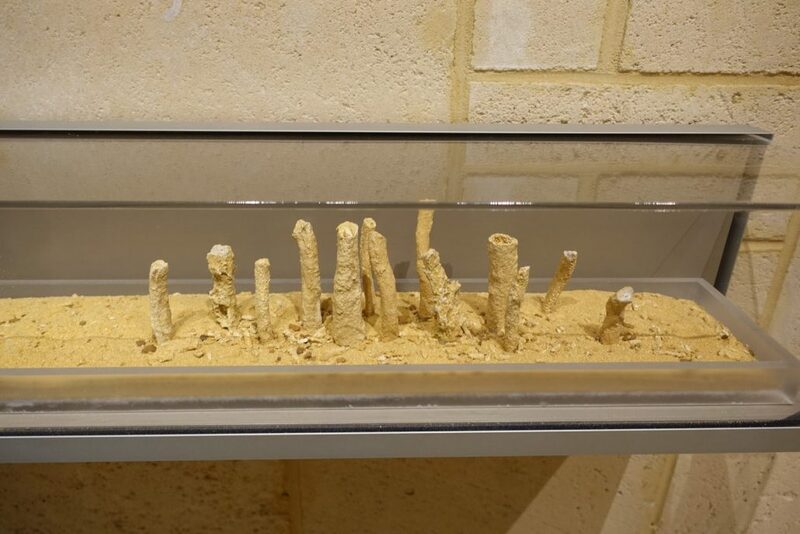 The change in the weather results in the surface of the pinnacles. 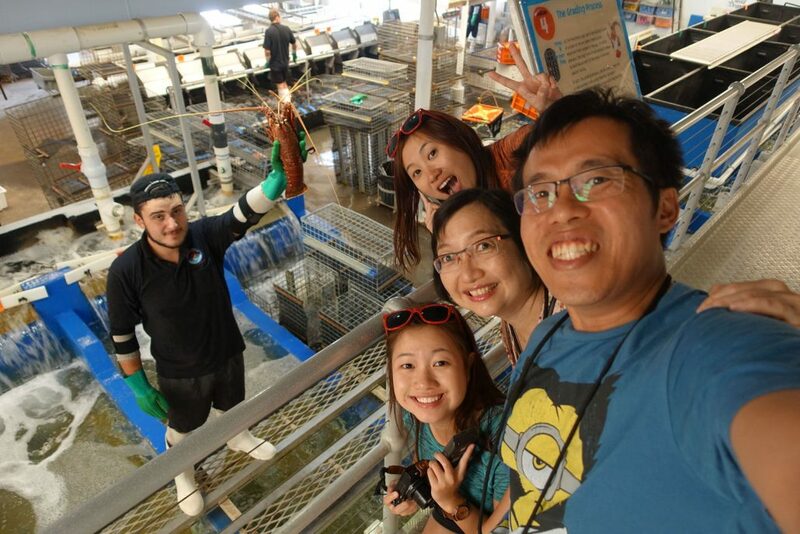 This trip will not be complete without a fresh Lobster lunch and a tour of the Lobster processing plant. 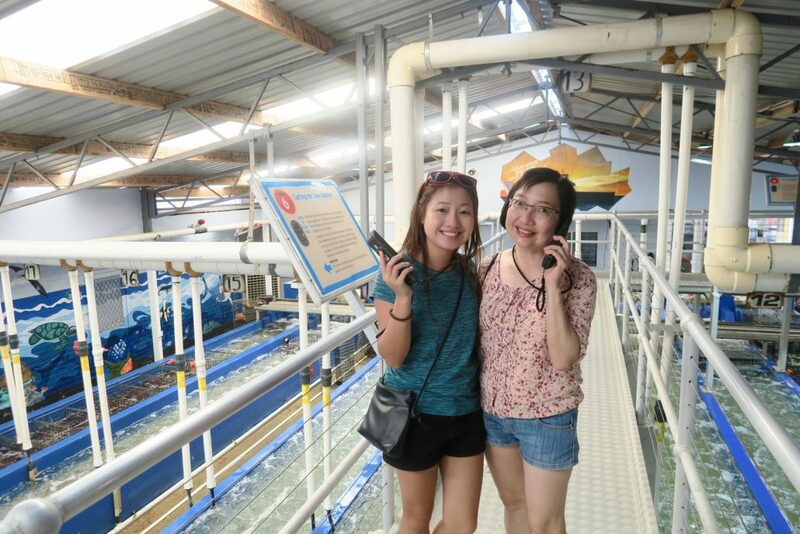 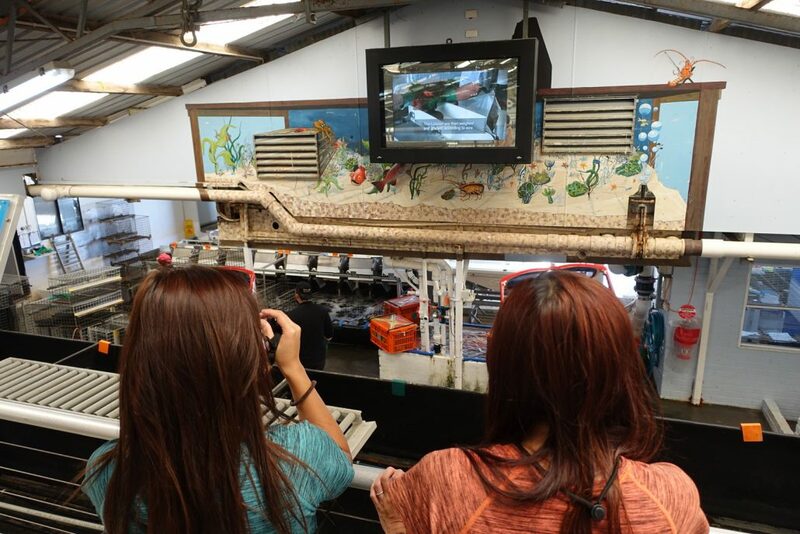 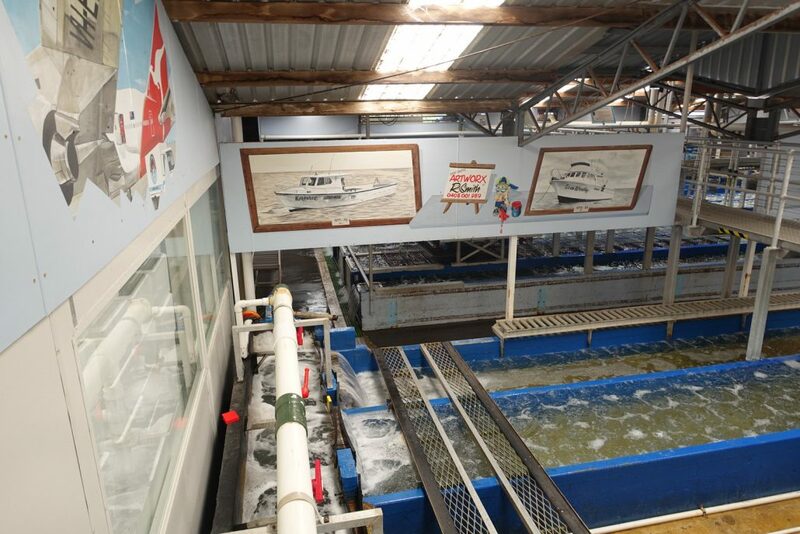 The factory tour adventure starts with a short video which showed us how lobsters were caught out in the sea. 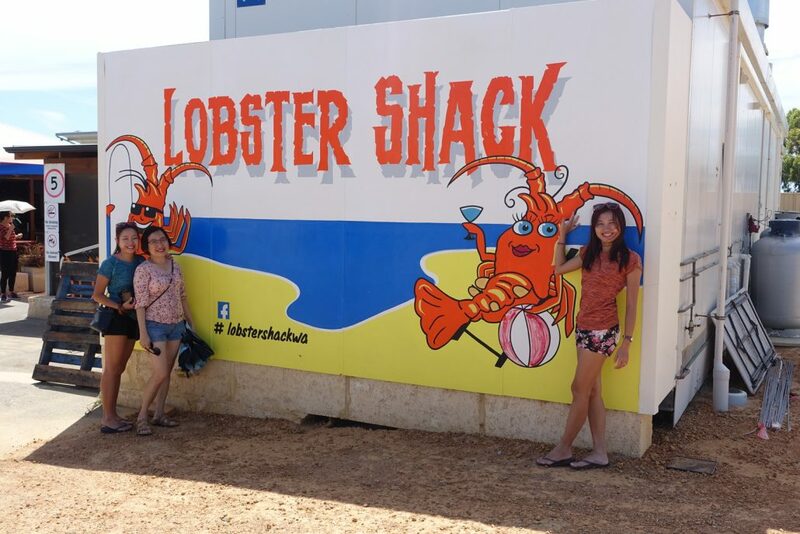 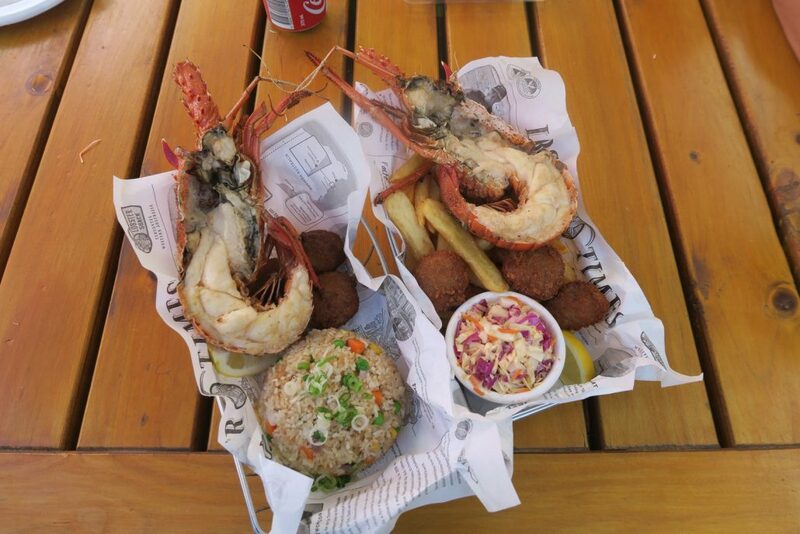 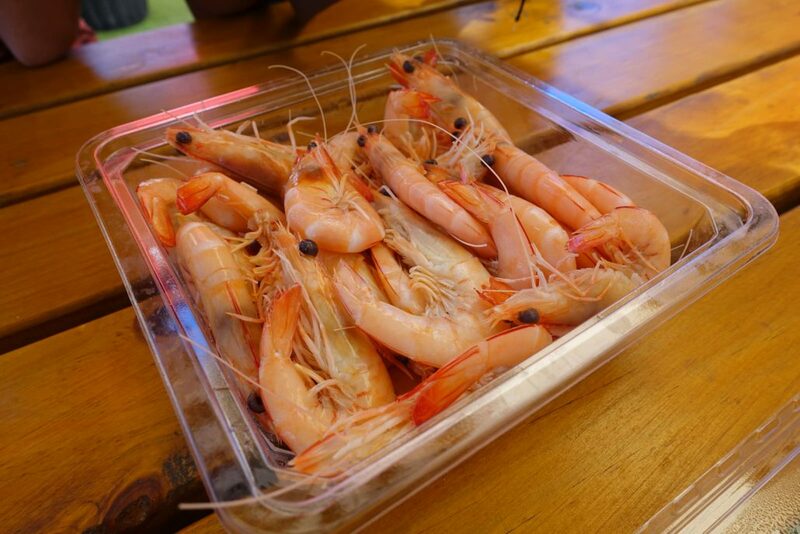 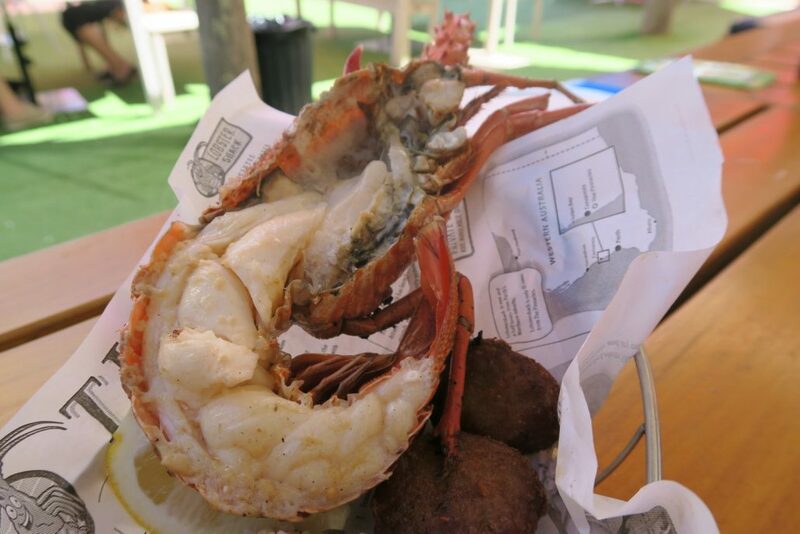 The lobsters are sorted based on lobster grade which is based on the size and not quality.